It's not just for acne. This article was last updated in April 2019. Confession: I&apos;ve been cheating on Lotion P50 with salicylic acid. It&apos;s shocking, I know. Few beauty products are as sought after as the lactic acid-based P50, an exfoliating toner that has been dubbed "Jesus in a Bottle." I do still love it. But I love salicylic acid even MORE. Previously, I&apos;d written it off as strictly for acne. It&apos;s not! In fact, salicylic acid can treat an array of skin concerns, and offers distinct skin benefits that glycolic and lactic acids don&apos;t have. Salicylic acid and BHA treatments from Paula&apos;s Choice, COSRX, The Ordinary and Alba Botanica. Salicylic acid is a beta-hydroxy acid (BHA), a type of acid derived from natural sources such as willow tree bark, wintergreen leaves or sweet birch bark. Salicylic acid is a salicylate, meaning it belongs to the same ingredient family as aspirin. People with salicylate allergies (which are rare) should avoid salicylic acid. Salicylic acid exfoliates the skin deep-cleans the pores. As an acid exfoliant, salicylic acid works by softening and dissolving keratin. Keratin is the protein found in our skin that causes cells to stick together. So, the acid makes these dead skin cells much easier to slough off. Salicylic acid also exfoliates the pore lining. Because it is an oil-soluble acid, it has the ability to penetrate deep into pores instead of remaining only on the skin surface. Inside the pores, it helps to loosen clogs and allows oil to flow out more freely. But like I said, you don&apos;t need to have acne for salicylic acid to work. It is what is known as a "keratolytic agent"—a substance that helps normalize keratinization (the shedding of skin cells). Hyperkeratinization (or "abnormal" keratinization) means the body is shedding skin cells too fast, and is associated with skin issues like keratosis pilaris, eczema and dryness. Salicylic acid helps slow down this process, helping skin cells to function longer before flaking off. Since salicylic acid is closely related to aspirin, it has anti-inflammatory properties that help to calm the skin and minimize irritation. It is also mildly antibacterial. Salicylic acid is more than just an acne treatment. So, what do these actions mean for your skin? Most people aren&apos;t aware of what salicylic acid can do because to date, it was mostly found in spot treatment acne products. I&apos;m not talking about those (I never did find them very effective). To really get the benefits of salicylic acid, you need an entirely different concept—a low-dose, gentle treatment that you put ALL OVER YOUR FACE. As long as it&apos;s gentle in strength, applying an acid this way, every single day, can dramatically improve your skin. Just look at Lotion P50. Although that is a lactic acid-based product, a key reason why people see such dramatic results is because it&apos;s meant to be used all over the face, twice daily. I&apos;m arguing that you can get even BETTER results from doing the same thing, but with salicylic acid instead! Acne: Salicylic acid is probably the best acne fighting topical ingredient you can choose. Not only will it work to clear and calm active breakouts, but it will also help PREVENT future comedones from even forming in the first place! This is why the daily low-dose application is critical. "Instead of treating pimples as they appear, it&apos;s more effective to use a gentle product that contains salicylic acid every day," says Dr. Whitney Bowe. "This helps prevent breakouts on a regular basis." Oily skin: Derms agree: Salicylic acid is one of the few ingredients that can actually SLOW DOWN your skin&apos;s oil production. "Salicylic acid decreases oil production," says Dr. Annie Chiu, while Dr. Sue Ann Wee says "salicylic acid can reduce sebum secretion." The trick is to find the right amount and frequency to keep your skin&apos;s oils in balance without over-drying. Large pores: "The reason pores look bigger than they actually are is because they&apos;re clogged with dead skin cells mixed with oil," says esthetician Shani Darden. Salicylic acid helps unclog them, so they&apos;re not so stretched out and will appear smaller. Blackheads: Salicylic acid helps to soften blackheads, making them easier to extract. It also helps prevent new blackheads from forming. 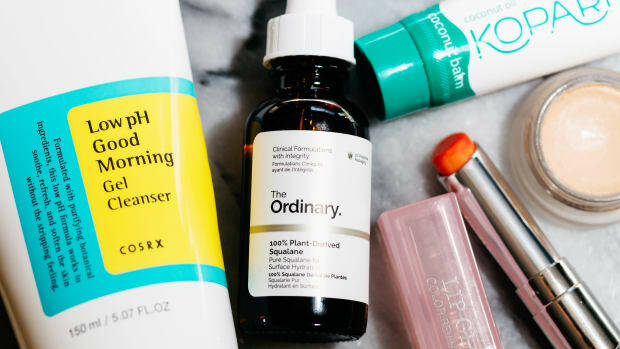 Dull, rough skin: There&apos;s no reason why you can&apos;t use salicylic acid the same way you&apos;d use an AHA, for brighter, smoother skin. "Exfoliation leads to a reduction in thickness of the dead-skin-cell layer, which gives the skin a brighter, more glowing appearance," says Dr. Dendy Engleman. Fine lines and wrinkles: "The exfoliative properties of salicylic acid have been shown, over time, to diminish the appearance of fine lines and wrinkles by promoting collagen growth," adds Dr. Engelman. Just like AHAs, BHAs have been shown to increase epidermal, collagen and elastin thickness. Hyperpigmentation: Salicylic acid is also a pigmentation fighter—not just because of its exfoliating effect, but also from its ability to inhibit melanin formation with low risk of irritation. "I use it to treat patients with darker skin looking to correct sun and age spots and hyperpigmentation issues," says Dr. Haleh Bakshandeh. Salicylic acid and BHAs do everything AHAs do—and more. While salicylic acid is a BHA, glycolic and lactic acids are AHAs—alpha-hydroxy acids. Penetration: Both AHAs and BHAs exfoliate the skin&apos;s surface. But BHAs also exfoliate on a deeper level, inside the pores. Solubility: While AHAs are water-soluble, BHAs are oil-soluble. That means salicylic acid can penetrate through sebum and clogged pores. Irritation: All acids have the potential to be over-drying when used in too high concentrations, or too frequently. But AHAs are more likely to irritate—especially glycolic acid, because of its small molecule size. BHAs are less irritating because of their larger molecule size and natural anti-inflammatory properties. 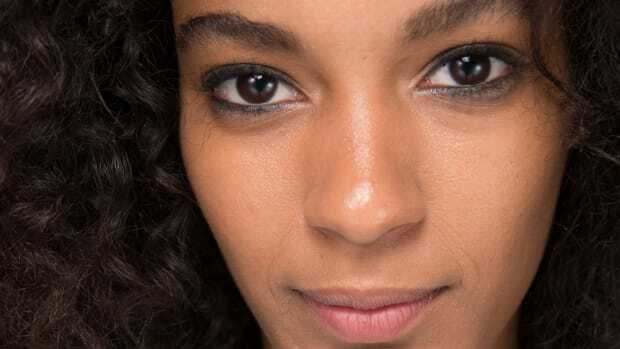 "While some AHAs and other acids can trigger post-inflammatory hyperpigmentation in patients with darker skin types, you won&apos;t see that with salicylic acid," says Dr. Bakshandeh. "It&apos;s a very safe and predictable acid." 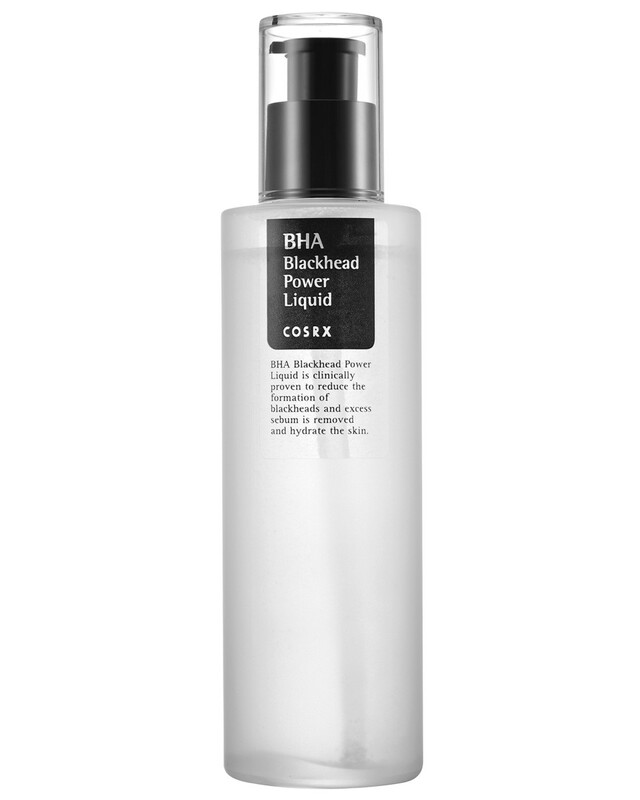 You don&apos;t need to have blackheads to use COSRX BHA Blackhead Power Liquid. It contains four percent betaine salicylate—which is approximately equivalent to two percent salicylic acid—in a lightweight, silicone-free gel base. Of all the BHA products I&apos;ve tried, this is my favourite. See my full review here. COSRX Natural BHA Skin Returning A-Sol is a gentler option, with one percent betaine salicylicate (so, that&apos;s equivalent to 0.5 percent salicylic acid). This would probably suit most skin types for general exfoliation, brightening and mild acne prevention. I use it in the wintertime, when my skin is drier. Then there&apos;s the COSRX One Step Original Clear Pad. Like the A-Sol, these exfoliating pads are soaked in a one percent betaine salicylate solution (about 0.5 percent salicylic acid). They&apos;re a convenient way to treat not just your face but also your neck, chest, ears and back. Paula&apos;s Choice Skin Perfecting 2% BHA Liquid Exfoliant features two percent salicylic acid in a liquid texture. (Initially, it can feel slightly oily, but that mostly goes away as it absorbs.) I just finished testing this for a few weeks and found it as effective as the COSRX BHA Liquid, just a little more drying (so I&apos;d recommend it for oilier skin types). Although the Liquid is their worldwide bestseller, there&apos;s also a gel format: Paula&apos;s Choice Skin Perfecting 2% BHA Gel. This one gives oil-free hydration, and is also silicone-free. If your skin is on the normal to oily side, this is a great option for you. First Aid Beauty Skin Rescue Acne Clearing Pads with White Clay are specifically formulated to treat acne, with two percent salicylic acid infused into easy-to-swipe pads. I&apos;ve gone through a whole jar and didn&apos;t find these irritating at all. B. Kamins Anti-Blemish Pads have two percent salicylic acid, plus sulfur (another great acne-fighter). The additional of peppermint oil gives these a refreshing feeling on the skin. If you&apos;re looking for a super minimalist formula, there&apos;s ClarityRx Fix It 2% Pore Perfecting Solution. All that&apos;s in here is water, alcohol (to assist penetration) and two percent salicylic acid. Just be sure to follow this up with good hydrators to compensate for the alcohol&apos;s drying effects. Alba Botanica Acnedote Deep Clean Astringent is a two percent salicylic acid toner with natural extracts like aloe, calendula and camellia. Because it is high in alcohol (a penetration enhancer), I like to use this for body acne on the back, chest, etc. The Ordinary Salicylic Acid 2% Solution gives you two percent salicylic acid in a clear gel format. 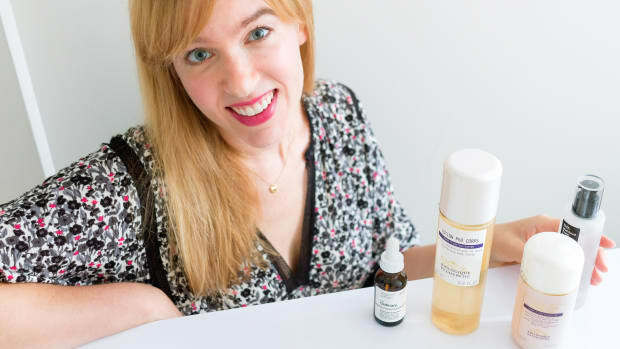 This is a super-affordable way to try salicylic acid (keeping in mind that you&apos;re also getting a smaller bottle). The only caveat is the witch hazel, which could be irritating if you are sensitive to it like me. 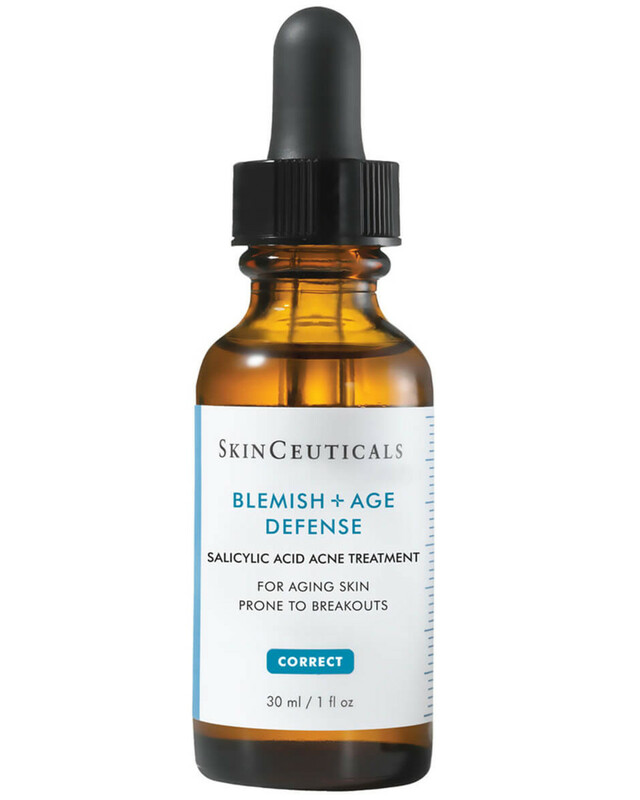 SkinCeuticals Blemish + Age Defense has 1.5 percent salicylic acid along with glycolic acid, dioic acid, citric acid and LHA (lipo-hydroxy acid). It targets both acne and oily skin as well as fine lines and wrinkles. Just wish it came in a bigger bottle! If you&apos;re looking for an in-between strength, try Juice Beauty Blemish Clearing Serum. With 0.75 percent salicylic acid, it&apos;s milder than most acne treatments—but will still give you gentle exfoliation, anti-acne and brightening effects. You don&apos;t need to have blemishes to benefit from this! Another lower strength BHA is Clearogen Clarifying Toner, with a salicylic acid concentration of one percent. Since alcohol is the second ingredient, it will be a little drying—so make sure to apply a good moisturizer afterward. Éminence Clear Skin Willow Bark Booster-Serum is another mild, all-natural option, with an undisclosed percentage of willow bark extract in a serum format. Although it&apos;s geared at "problem skin," I think this would easily be gentle enough for all skin. The Inkey List Beta Hydroxy Acid is from a new brand that is being called an alternative to The Ordinary. They don&apos;t disclose the percentage of salicylic acid, but this product was formulated to treat oily skin, blackheads and clogged pores. Here are few tips on how to get started with salicylic acid! If you&apos;re new to acids, you could introduce salicylic a few times a week, and build up to more frequent applications from there. Since I was already on daily lactic acid, I started at once a day and now I&apos;m tolerating twice-daily applications with no problems at all. But you may find that once a day or every other day works better for you. Step 1: Wash your face as usual. Avoid using other exfoliants at the same time, as this could increase irritation. Step 2: Spread a thin layer of the acid over your face, avoiding the lips and eye area. Alternatively, you can just concentrate it on areas of congestion, such as your T-zone. While Dr. Sejal Shah says salicylic acid is safe to use on all skin colours, there is a risk of darkening whenever you apply potential irritants to medium-to-dark skin tones. If this is a concern, consider short-contact therapy. This involves washing off the acid after a few minutes. Gradually increase the time it is left on, so your skin can build up a tolerance. Salicylic acid can treat an array of skin concerns, from acne to dullness to pigmentation. Now you know why I&apos;ve switched allegiance from AHAs to BHAs! Believe me, I never thought this would happen, since I&apos;ve been using (and raving about) Lotion P50 for so many years. Truth be told, I didn&apos;t even want to stop using it in order to test out my first BHA (COSRX BHA Blackhead Power Liquid), which I&apos;d purchased on a whim with low expectations. But I&apos;m SO GLAD I did! For me, daily BHA or salicylic acid treatments have kept my skin bright, smooth and clear. My pores seem cleaner, my skin is softer and produces less oil, and dark marks are fading super quickly. It has also annihilated annoying, lingering, under-the-skin congestion (the kind you can&apos;t see but can feel). And obviously, it&apos;s amazing at preventing acne. Any breakouts that do arise are less inflamed and disappear fast. The only side effects I experienced were some minor purging for the first few weeks, and a bit of flaky, dry skin. You can find out more about the purging process over here—it&apos;s actually a positive thing and your skin will clear up within a month or two! The dryness went away, too, with continued use and more hydrating products in my routine. Needless to say, I think salicylic acid is well worth your consideration! Have you tried salicylic acid? What changes have you noticed in your skin? It can be a good sign or a bad sign. What AHAs and BHAs are really doing to your skin. The one vitamin you NEED in your skincare routine. Prone to irritation? Help is here!